The Voice eliminated a whopping four artists, which determined the fourteenth season's Top 4 finale contenders during Tuesday night's live results broadcast on NBC. The Voice Results began with host Carson Daly announcing the three artists who had received the most home viewer votes following Monday night's Top 8 performance show and therefore would be automatically advancing to next week's finale. Those lucky three artists were coach Blake Shelton's team members Kyla Jade, a 33-year-old from Nashville, TN, and Spensha Baker, a 25-year-old from Boerne, TX, as well as Kelly Clarkson's team member Brynn Cartelli, a 14-year-old from Longmeadow, MA. The two singers who unfortunately received the fewest number of votes were automatically eliminated, and those contestants were coach Alicia Keys' team member, Jackie Foster, a 22-year-old from Boston, MA, and coach Adam Levine's last artist standing, Rayshun Lamarr, a 33-year-old from Fort Washington, MD. Jackie and Rayshun's departures left the remaining three artists -- Pryor Baird, a 35-year-old from Nashville, TN; Kaleb Lee, a 32-year-old from Ormond Beach, FL; and Britton Buchanan, an 18-year-old from Sanford, NC -- in jeopardy, but they were able to duke it out for the final "Instant Save" of the season. Pryor competed on behalf of "Team Blake," Kaleb was hoping to remain on "Team Kelly," and Britton was fighting to stay on "Team Alicia." After all three artists sang a survival song last night, America tweeted via the show's "Instant Save" format to keep Britton in the competition, so Britton will also be singing in The Voice's finale. Pryor kicked off the elimination format on Tuesday night by singing "Soul Shine," and Blake was absolutely surprised to see him in this position because he "deserves to be in the finale." Kaleb then performed "Simple Man" for survival, and Kelly reminded America how Kaleb had been working a normal job and not even doing music prior to appearing on the show. Kelly argued that Kaleb has had the most growth and improvement throughout this competition and she'd cry to see him go. Britton then took the stage with "Dancing On My Own," and Alicia gushed about how his vocals had given her "full-body chills." Alicia called Britton "the real deal," adding there's "no acting or faking" when it comes to his music and performances. Since Adam will not be represented in the finale and had an unbiased opinion, he asked home viewers to vote for Britton. Home viewers then had a brief five-minute window to vote in real time for Britton, Kaleb or Pryor to stay on The Voice via Twitter. By the end of the commercial break, Britton was leading with 47 percent of the vote, compared to Pryor with 31 percent and then Kaleb with 22 percent. Prior to learning the results, both Blake and Kelly gushed about how they were going to continue working with Pryor and Kaleb, respectively, if they did not advance on this show. 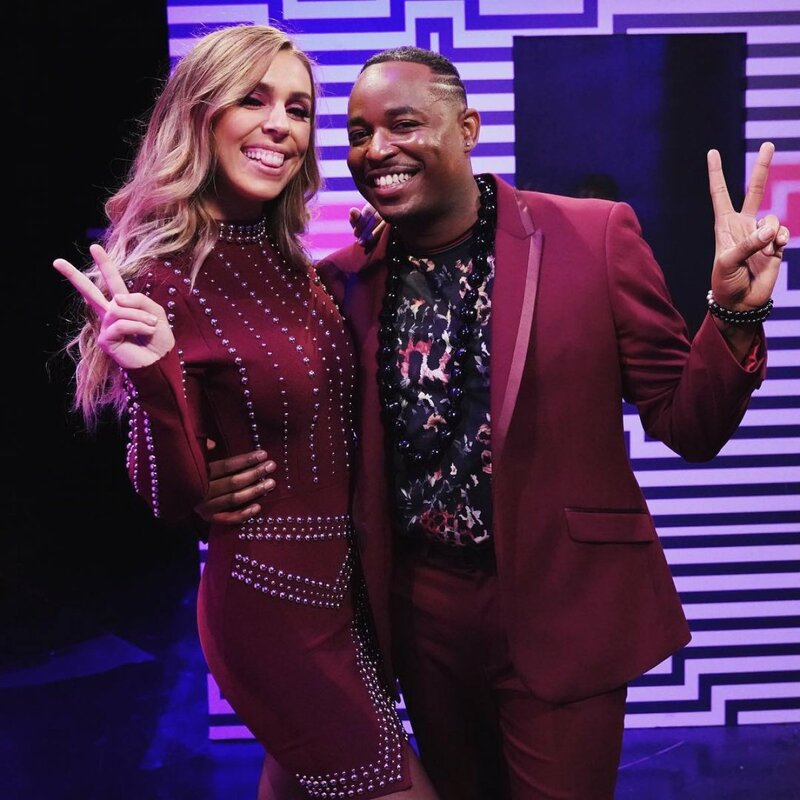 Kelly's goal in joining this season of The Voice was to "give back," so she revealed "major writers and producers" are already interested in Kaleb and she's been gathering those sources and connections for him. Alicia then noted Britton's voice is honest, real, raw and true, which is hard to come by in the music industry. Apparently America agreed, because they decided to keep Britton on the show.